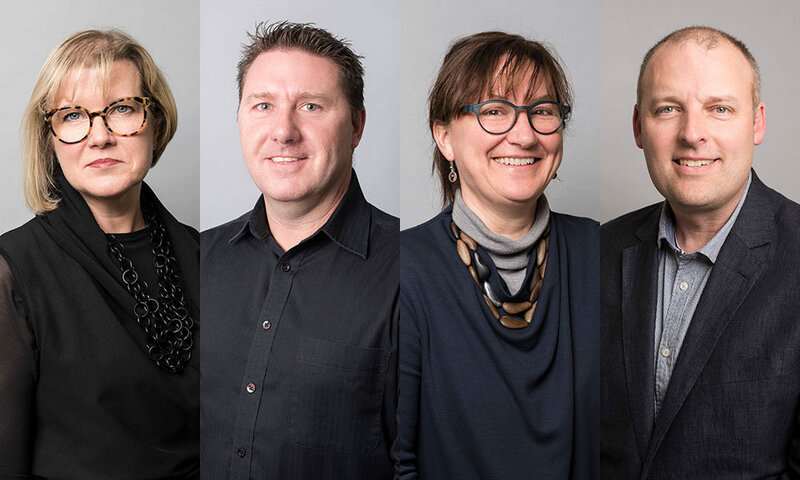 BLP is delighted to announce four senior appointments from within our Sydney studio. Vicki Murphie and Shane Wood are now Associate Directors; Katarina Vrdoljak and Matthew Kenchington are now Associates. These promotions reflect their immense talent and experience, their design leadership and client-focus, and in wider terms our investment in BLP’s future. We aim to attract the best and brightest, those who share our spirit of collaboration, and passion for great design. We identify and nurture future leaders from within our team, continually strengthening our practice. The calibre of our clients are a testament to our approach. I’m grateful to work with such a passionate group of people. We are very proud of Vicki, Shane, Katarina and Matthew, and value their broader engagement with our business. Their diverse knowledge and experience will continue to create inspiring projects for the benefit of our clients. Please join Directors Tara Veldman, Ron Billard, David Leece and Mark Mitchell, and our Senior Leadership in congratulating our newly promoted team members. A highly versatile and experienced interior designer, Vicki brings industry leading expertise to her role as BLP’s Workplace Sector Leader. She creates bespoke and innovative designs for a diverse range of workplace, lifestyle and interior environments for Australian and multinational clients: key projects include workplaces for Fujitsu Australia and New Zealand, the 25,000sqm Darling Square workplace for Commonwealth Bank Australia, and some 20,000sqm of workplace for Optus Melbourne. As BLP’s Education Sector Leader, Shane’s passion for new approaches to pedagogy is complemented by a skilled and innovative approach to designing for teaching and learning. He has completed a truly impressive portfolio of education projects for a long list of clients across all levels of learning, and currently leads the Picton High School Redevelopment and Central Coast Schools Package. Katarina has been working as a designer for over 20 years. Her broad experience in design and complex project delivery is underpinned by a strong research focus and an Evidence Based Design approach, which links people’s health and wellbeing to the built environment. Key projects in her portfolio include The Grove for St Basil’s Aged Care Randwick, Royal North Shore Hospital Redevelopment PPP, the NSW Secondary Schools Renewal projects and currently the Bulli Hospital Aged Care Centre of Excellence. Matt is a skilled design architect with a strong focus on health and community projects. With local, regional, national and international experience, he specializes in the masterplanning, design and delivery of large and complex projects. Significant projects include Coffs Harbour Hospital Redevelopment, Palmerston Regional Hospital, and currently the $632m Campbelltown Hospital Redevelopment.